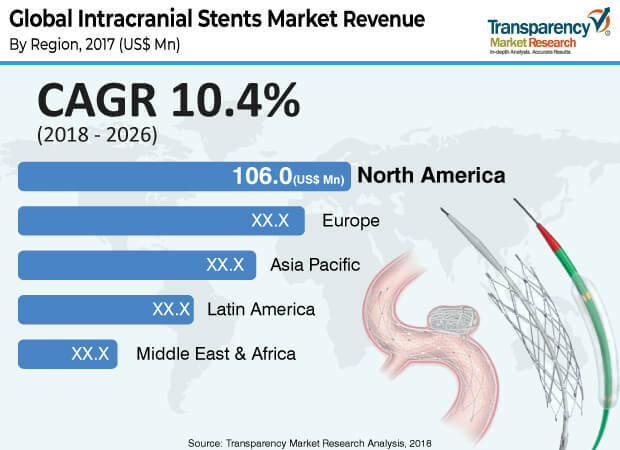 Transparency Market Research (TMR) has published a new report titled ‘Intracranial Stents Market - Global Industry Analysis, Size, Share, Growth, Trends, and Forecast, 2018–2026.’ According to the report, the global intracranial stents market was valued at US$ 298.7 Mn in 2017. It is projected to expand at a CAGR of 10.4% from 2018 to 2026. Aging population and longer life-expectancy, increased awareness, and acceptance of advanced devices are key factors that are likely to drive the intracranial stents market from 2018 to 2026.